The Perfect Introduction to Pierce Country Day Camp! Pierce’s youngest campers are enveloped in an exceptionally warm and supportive camp environment. Our emphasis at this age is on a healthy adjustment to camp. Threes and Fours enjoy facilities, equipment and programming specifically tailored to their needs. Pierce’s curriculum for Threes and Fours includes a perfect blend of active and artistic activities. Our caring staff nurtures each child and helps build social skills, motor development and imagination. To help ensure a smooth transition into camp, Pierce has developed our “Holding Hands” program. Holding Hands is a warm, welcoming pre-camp orientation for our Threes and Fours. Holding Hands is a warm, welcoming pre-camp orientation exclusively for our Threes and Fours. 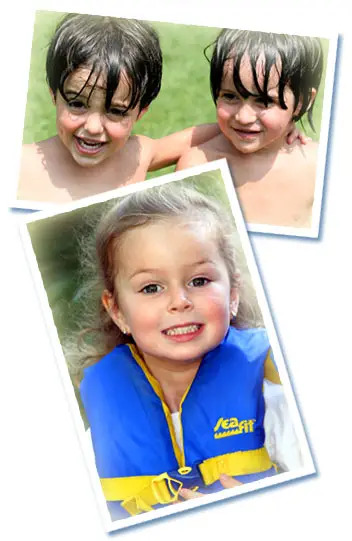 Parents and campers will have the opportunity to meet their Group Supervisor, Group Leaders, and Pool Staff members, and to visit their “cabin” areas and cubbies. They will also experience family fun on the Pierce grounds as they enjoy entertainment and a petting zoo. Because of our Nursery school, we know how to do it right. At Pierce, we take the very best care of our very littlest campers! Extremely low camper to staff ratios, the best in camping!